There is no piece of bakery equipment more central or important to the artisan bread baker than hearth deck ovens. Our ovens have been manufactured in Italy, Germany, Luxemburg, and other countries, evolving to meet the demanding needs of the North American baker over hundreds of years. This includes baking larger loaves of bread and running for many hours more than the typical European bakery. Regardless of size, deck ovens sourced and assembled by TMB Baking must meet rigorous standards of quality, both in manufacturing and our on-site assembly. A bakery deck oven must be able to perform 20+ hours per day for 15 – 20 years without fail, so providing routine maintenance and support on our end is important. 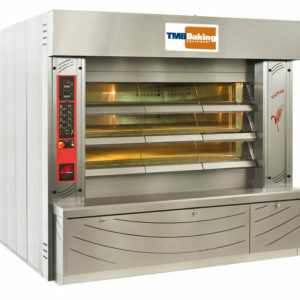 For gas-fueled deck ovens manufactured to our design specifications by our Italian manufacturers, TMB Baking supplies our proprietary, ETL-approved control panel which allows for approval of the ovens by local authorities in over 95% of situations. This cannot be said of other value-added manufacturers or distributors. Our ovens also have BISSC Sanitation approval and meet sanitation requirements in over 95% of installations. Whatever it takes, TMB is ready to support you. 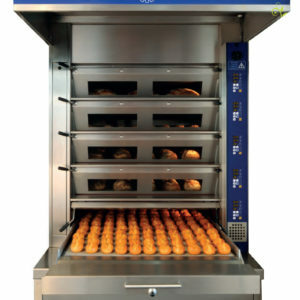 No matter if you are searching for an electric or gas deck oven, consider adding a bakery deck oven to your company’s bakery or bakery-café today! Capacity required, both today and for the defined future, matching both space and financial constraints. 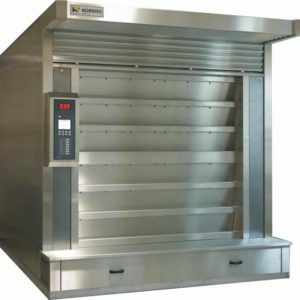 The most important purchase for any bakery, however, is a deck oven that gives the bakery room to grow. Size available in the bakery, both in width and depth, configured properly to match the style of breads being produced and the optimal layout on the hearth. Amount of thermal mass in the oven, both from the hearth and from the steam tubes above the dough, which will determine the “pop” of the loaf crown as well as the recovery time between bakes. The number and location of steam generators on the deck oven. 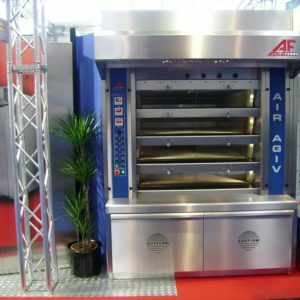 In order to steam the dough when it is loaded in each window, we offer ovens with a single steam generator for each deck, as well as double steam generators per deck. These four measures define both capacity and baking performance of the deck oven.